A great boss or supervisor supports, inspires and pushes others towards excellence. A great boss is an effective communicator, passionate, intuitive and resourceful. And finally, a great boss is truly committed to developing the careers of the people they supervise. Over the past several weeks, nonprofit professionals all over Greater Richmond submitted nominations for their great boss or supervisor to the Young Nonprofit Professionals Network RVA (YNPN RVA). Read more about the 2017 Great Nonprofit Bosses! Please join us in a celebration to honor great leadership in our sector during an evening of recognition, learning and socializing at the Great Nonprofit Bosses Celebration! Parking: Street parking is available (two hour limit until 4:00pm), in addition to Public Parking Lots, which account for over 5,000 spaces within a 2 block radius. **Not currently a YNPN RVA Member? 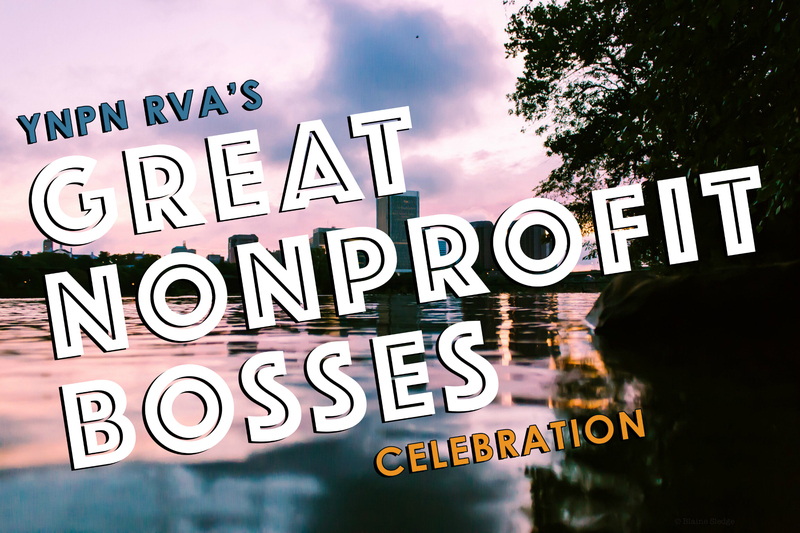 Join 2018 Membership now to save $10 on your Great Nonprofit Bosses Celebration event registration. Currently a YNPN RVA Member? Renew for 2018 now and save yourself the time and trouble in January (as a reminder, membership runs on a calendar year)! What question would you like answered during this event?